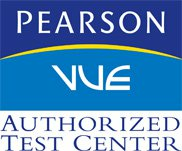 Register for Your Pearson Vue Test Today! I went to Northwest Career College to take my RDA exam and I was a bit nervous. Everyone at Northwest was nice and encouraging. The campus is beautiful and clean. I passed my exam and scheduled a congratulations massage for myself later in the week! 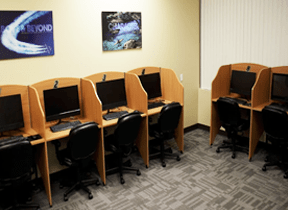 To meet the demands of the community, Northwest Career College’s Pearson VUE Testing Center is open 6 days a week. How Do I Schedule, Reschedule or Cancel an Exam Online? Finally, a date and time. To reschedule or cancel, look at the “Upcoming Appointments” section for instructions. Some programs charge fees for rescheduling and/or cancelling an exam. To determine if there is a fee to reschedule or cancel your exam, check your appointment confirmation email. The deadline to reschedule or cancel an appointment will vary by testing program. To determine the policy for your exam and testing program, check your appointment confirmation email. Your profile will reflect the updated appointment and you will receive an email confirming any change. If your new appointment (or change) is not reflected online, contact Customer Service to confirm the appointment. Northwest Career College has partnered with Pearson VUE business because of their focus on state-of-the-art technology that enables Northwest to reliably deliver exams and provide the highest levels of service to our clients and our students. Las Vegas, Nevada 89128 in the Las Vegas Technology Center. For more information about Pearson VUE, click here. What Are You Waiting for? Register For You Pearson VUE Test Today!